Kidnapped: Mystery and Suspense on Television. 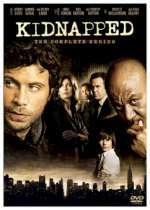 Kidnapped aired on NBC in September and October of 2006 but was cancelled after just 5 episodes, the remaining being available at the time on the NBC.com website. All 13 episodes are included on this DVD set. Timothy Hutton and Dana Delaney starred in this thrilling drama as a wealthy and powerful New York couple whose teenage son has been kidnapped.